Sign up for a 15-day free trial to watch videos by Linda Baffa. Linda Baffa is a singer, a mama, a foodie, a free spirit, and a truth seeker. She teaches a strong, alignment-based, breath-filled vinyasa flow style that seeks to find balance, peace, clarity and contentment. Linda’s classes not only strengthen your body and soften your mind, they also encourage you think about your life, what changes you want to see, and how you can be the best version of yourself. Along with public group classes, Linda enjoys working privately with students, helping to individually refine their postural alignment and release any mental or physical discomfort. She also leads yearly workshops, teacher trainings, and retreats. Aside from yoga, Linda is an accomplished singer-songwriter and enjoys connecting the beauty of music with the beauty of yoga, often chanting lullabies and inspiring ditties in savasana. 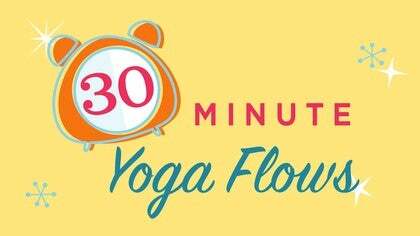 Linda guides us through a mindful, breath-filled flow. 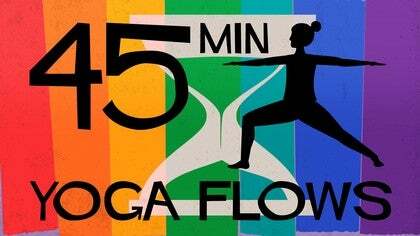 You will step into a series of balancing postures and generate heat and strength in the core. 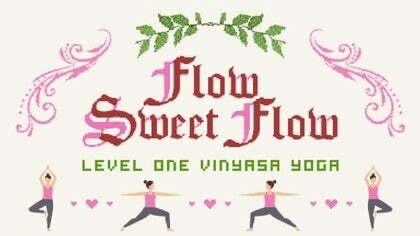 A spicy flow with a focus on the outer hips, we move through sun salutations, standing postures, arm balance play, and deep outer hip openers. In this practice, Linda guides us in a mandala pattern around the mat to shift our energy and create a luxurious and very welcome mental shift.